I'm not sure exactly when it happened, but at some point I was introduced to the concept of gallery walks. 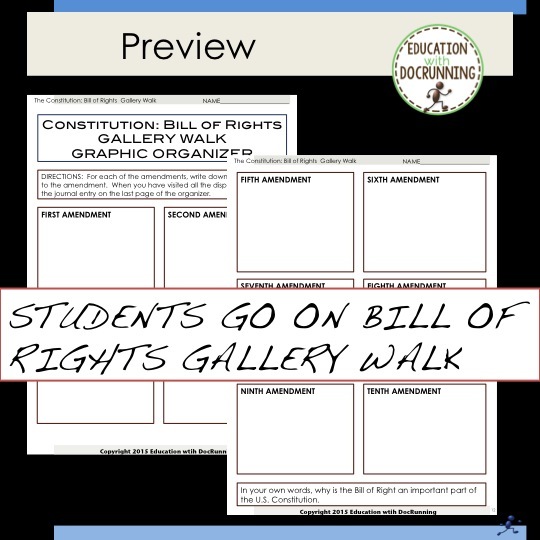 Gallery walks are a teaching tool for students to explore text and images related to a topic. Often the walk is set up by the teacher. 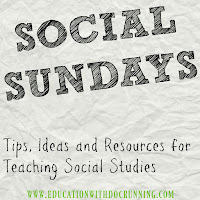 Students benefit from actively engaging in their learning, plus, they like moving around. 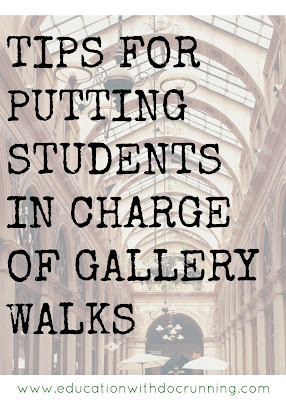 My students love gallery walks, particularly the ones they design. For example, we were getting ready to study the U.S. Constitution and in particular the Bill of Rights. While I don't believe in memorization (if you can Google it...) but the Bill of Rights is an important document for understanding the rights we have as a people and is important in understanding policy discussions. We hadn't discussed the Bill of Rights at all. I randomly grouped students into 10 groups, one for each amendment of the Bill of Rights. The groups had time to research and prepare an exhibit about their amendment. After research, brainstorming, and discussion students developed their display. We were playing with digital tools, so students created a 1 slide display for their topic. We set up the exhibits (tablets) and then students went on a gallery walk. I provided students a graphic organizer to analyze the information from the exhibit. Because much of the investigation into the topic was collaborative, we closed the activity with individual journal entries focused on analysis of the topic. We definitely had some bumps the first time I tried one of these student-designed gallery walks. I provided little direction of organization of the exhibits. Groups struggled to focus their energy after the research, and in the end their was less collaboration, more arguing and more individual work than I thought there would be. The second time suggested guidelines for exhibits and steps to the process were included. The process was much less contentious as well as more focused. Students overall cited a much better experience in the group work. Determine the topics to be included i.e. the topic for each display. Divide students into the groups (1 group per topic). Have groups select a topic. 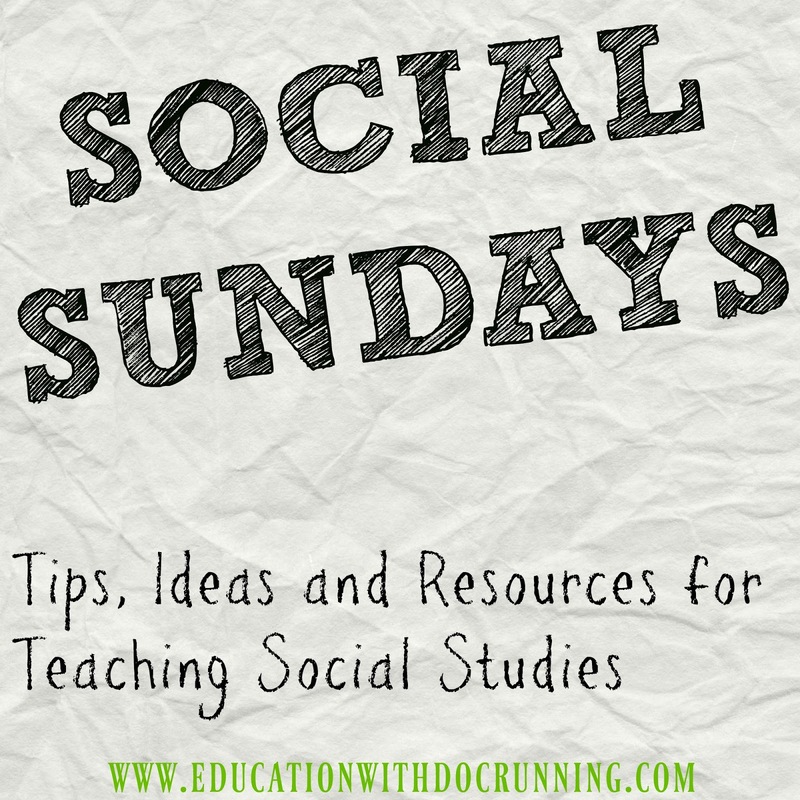 Give students time to research the topic and design their display. Displays can be visual, written or a combination of both. 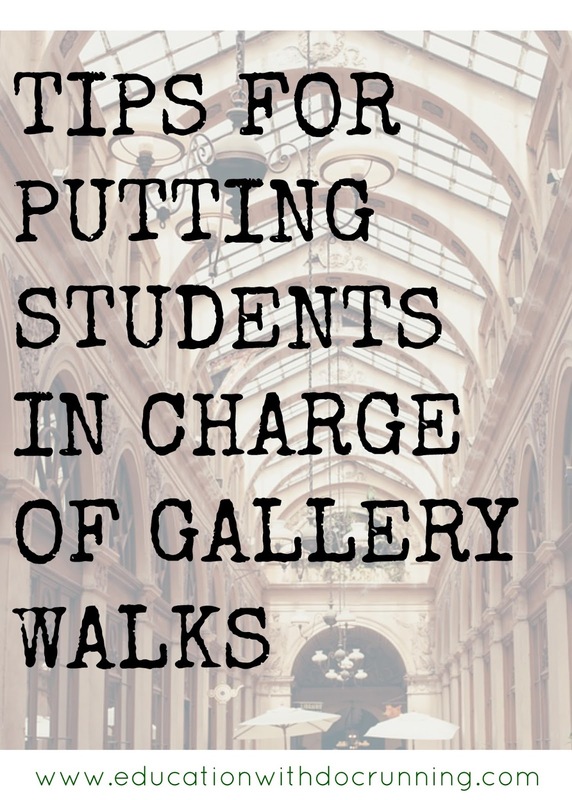 Have students post gallery displays. Provide individuals or groups with graphic organizers for notes as students visit gallery. 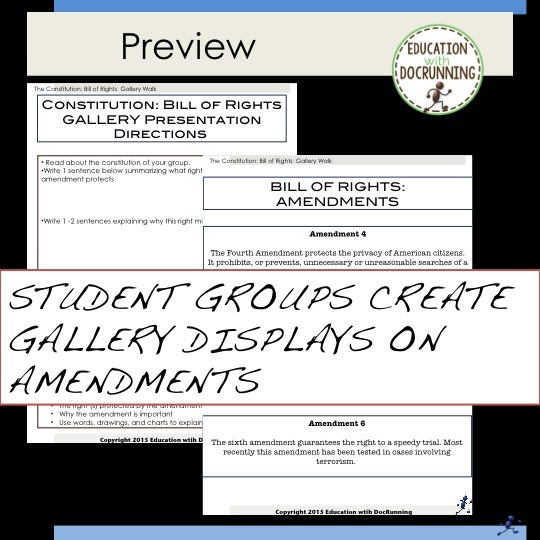 At the end of the gallery walk, provide an opportunity for discussion or analysis activity. Since that first foray into gallery walks, I've tried them with my class several times on everything from causes of the Revolutionary War to inventions of Ancient China and to introduce the Aztec civilization. 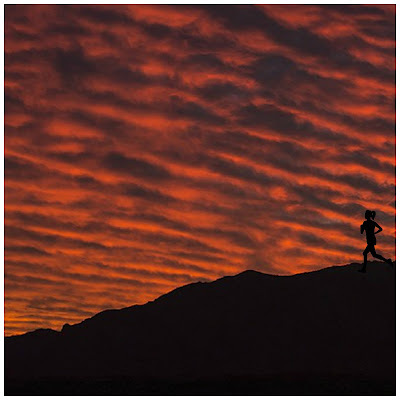 Each time I learn a little more into supporting the students better such as managing resources for research, which directions to give and when to step back. Students love being the investigators and experts. And while the gallery walks always are different, I find these student-designed ones to be great tool for introducing and examining required topics. I'm so glad this was helpful to your classroom. I am getting my feet wet with gallery walks and still figuring them out. The student-designed ones tend to work better for me but that could be just due to the classroom culture we have.